By Xah Lee. Date: 2016-01-15 . Last updated: 2016-01-15 . 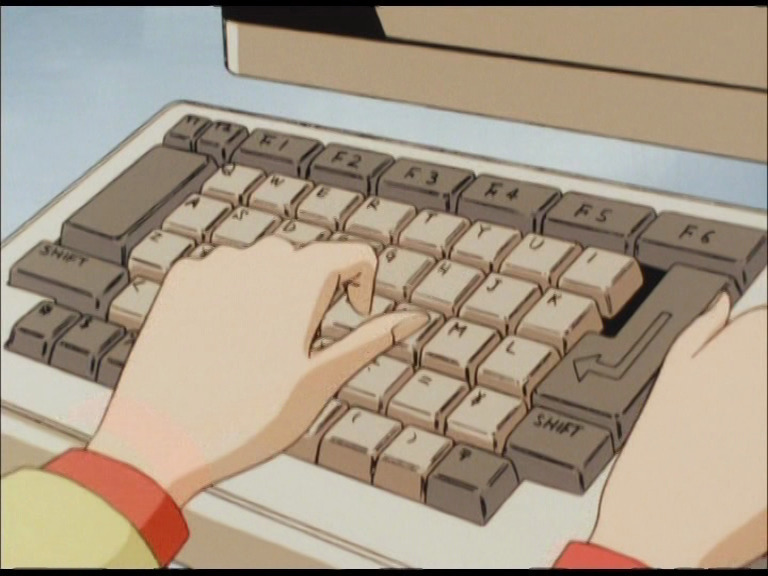 A very strange keyboard, i can't decide if it's real or not. 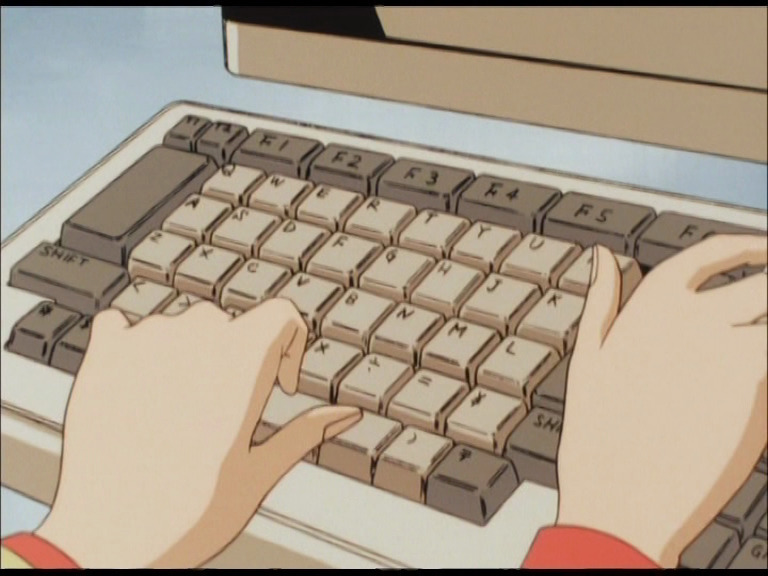 keyboard from 〈City Hunter 3〉 episode 9. 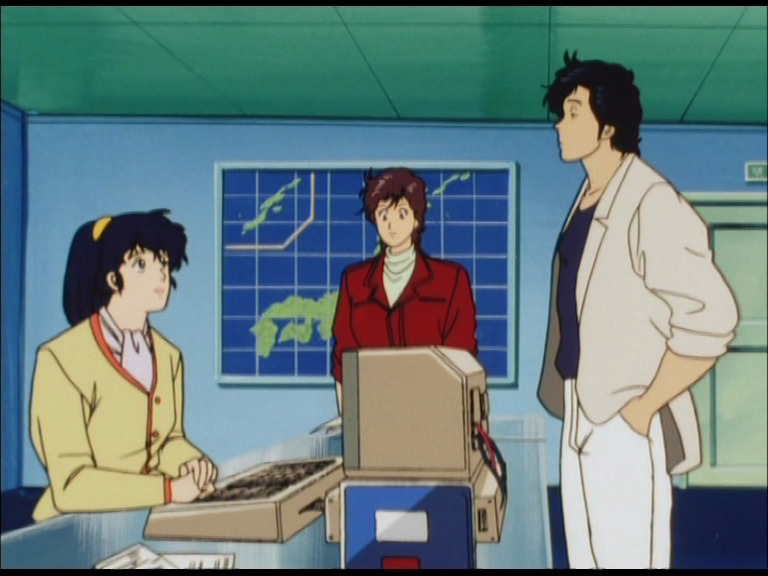 The episode is about a meteorologist, she works on weather computations in this scene. They have pretty accurate representation of military choppers, weaponry, and other cars ; so it could be based on a real one. City Hunter is a Japanese cartoon series, from 1987 to 1991.